South Africa is a camper’s haven – from holidays in the Kruger National Park to coastal excursions on the Garden Route – the country has a variety of beautiful landscapes and vistas, making campsites popular with both international and domestic travellers. There are more than 700 caravan and campsites in South Africa and campgrounds across South Africa offer a variety of accommodation options, from luxury glamping to more basic facilities. In March 2016, caravan parks and camping sites recorded the highest annual income growth at 31%; followed by lodges, B&Bs and self-catering establishments, which showed a growth rate of just less than 19%. The affordability of outdoor camping and caravan holidays makes this style of travelling popular among South Africans. There are also a large number of private game and nature reserves and bird sanctuaries, as well as 20 national parks across the country, another reason why camping remains a popular form of travelling. If you’re thinking of selling your campsite business, this is a great time do to so. South Africa is benefitting from healthy tourism figures and an increase in both international and domestic tourists. In 2016 there were just less than 13 million nights of paid accommodation! There are a number of different models for valuing a business, it is often best to seek advice from a valuation expert or broker, who will also be able to advise you throughout the selling process. When valuing a campsite business, in particular, the size and location of the land will play major factors in determining the business value. Whether your campsite is based on the coast or nestled deep in the bush, there may be a season where your campsite will be much busier than other times of the year. Try to show your campgrounds will be able to generate some kind of revenue all-year round. 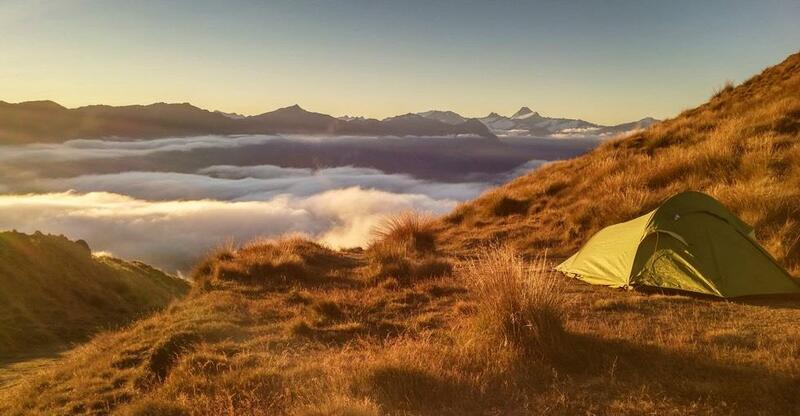 Your campsite might be based near an area of natural beauty or because you might have accommodation options suitable for all weather conditions allowing a steady source of income and will entice more interested parties and give buyers the confidence to take on a tourism-based business. For entrepreneurs who are managing the sale of the business alone, you should research land prices in your location. The business value should be how much money the business could be expected to sell for on the open market. Cash flow is usually more important than profits when valuing small businesses. The occupancy figures and business overheads will also come into play when determining what price to market your business at. You should use your last three-to-five years of figures to determine an accurate value for your business, and also consider what physical assets will be included in the business sale. You want your campgrounds to be looking their best to give a great first impression for potential buyers and get the maximum price for your business. Find out if there are any repairs or maintenance work that needs doing and test all the campground facilities. Repainting signs or buildings can also make a big difference at minimal cost. You should also ensure any landscaping and grounds work is carried out before putting your campsite business on the market. If you have facilities such as swimming pools or public braais or playground areas, make sure they are all looking well maintained to impress potential buyers. As well as physical grounds keeping, business owners should also keep their books and accounts in order. Buyers will want to review your profit and turnover figures for the last three-to-five years. You should also prepare documents and calendars that show your previous bookings, repeat customers and future reservations for potential buyers to inspect. If you are planning to hire a broker to manage the sale of your campsite business, consider how much experience they have in the sector and their list of contacts in the industry. If a broker has a good reputation and extensive experience in the area, they may be able to sell your business privately, without needing to market your business. However, when selling a business independently, you should get in contact with local newspapers or trade organisations to spread the word and reach out to interested parties. It could also be worth looking within your business organisation to see if there are any managers or employees that would be interested or in a position to take over the campsite. Listing your business sale online would also help you reach out to more interested entrepreneurs, there are a number of different websites that offer a one-off fee rather than taking a commission.